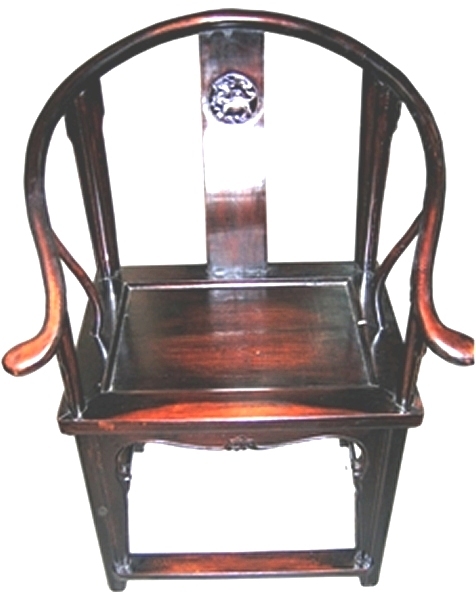 An antique Chinese chair of a very fine quality with the classic horse-shoe design in its construction. It has a beautiful carved medallion in the back. This beautiful design is surprisingly comfortable, though it may not look it.The wood is Chinese Elm. It was produced in Shanxi in the mid 19th century. The wood shows a lovely patina, typical of its age. A must see item.